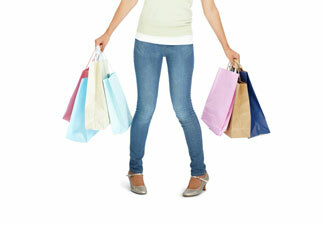 In the news: High street shopping burns calories – fact. Did you know that trips to our favourite high street stores are good for us? Collect bags and it’s like weightlifting! Well, kind of… According to a recent survey by Promotionalcodes.org.uk our visits to the high street mean we clock up over 200 miles and burn a whopping 14,844 calories each year, that’s like burning off 67 bars of chocolate! What better reason to pound the pavements, pick up these beauties AND burn calories!